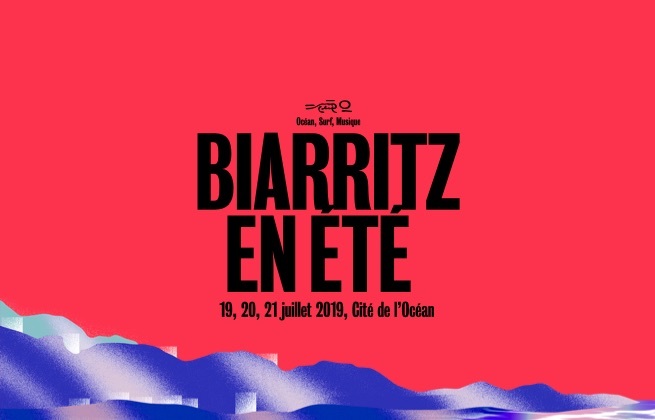 Purchase Your Biarritz en Été Ticket Here! Campanile Biarritz is located 2 km from the town center and 800 m from the Halle Iraty Performance Hall and Biarritz-Anglet-Bayonne Airport. It offers a 24-hour reception and guests can enjoy Canal+ and beIN SPORTS channels, both in the room and in the hotel lounge. A flat-screen TV with cable channels and free Wi-Fi access feature in all of the air-conditioned rooms at Campanile. Each blends neutral tones with green and chocolate-brown furnishings. Hotel Palacito is a very special place at the heart of Biarritz and at a few minutes on foot from the beach. The Sea and Chocolate Museum are 1 km away. 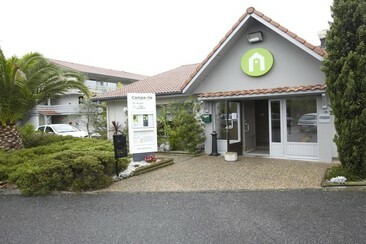 The hotel is a 10-minute drive from Biarritz airport and SNCF Train Station. 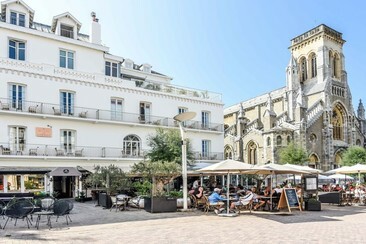 The establishment also includes a Café / Cocktail club offering a pleasant terrace at the heart of Biarritz. Very enjoyable, you can savour there a fresh and fruity cocktail while going back from the beach or during the evening. The Hotel Palacito proposes 24 stylish and sober rooms with comfortable bedding and pretty furniture. Fully equipped, each room has a TV and free Wi-Fi but also the air conditioning and an elegant private bathroom. Ideally located in the heart of Biarritz, Hôtel de la Plage overlooks the ocean and the Rocher de la Vierge. In the immediate vicinity, you can pay a visit to the Museum of the sea, the casino, as well as numerous shops and restaurants. The airport and Biarritz train station are also within easy reach. 24 elegant rooms in the hotel feature breathtaking views of the sea, the courtyard or the street, flat-screen TVs with all channels of TNT, free WiFi, and fully equipped private bathrooms. Breakfast is served indoors every day with traditional dishes. The hotel George VI is located conveniently just steps away from the beach and in the heart of all the action on Biarritz. A 2-minute walk from Port Vieux Beach and Musée de la Mer's marine life exhibits, it is also a 5-minute walk from the seaside shrine at Rocher de la Vierge. Moreover, this property is a great location in a very lively part of town with great eating and shops nearby. Walking distance to everything, you can go to Rock of the Blessed Virgin, Biarritz Town Hall, Saint-Jean-Baptiste Church and Villa Belza just a short walk. Quaint, country-style rooms include free Wi-Fi access, air conditioning, and flat-screen TVs with cable channels. All feature balconies and some have garden views. There also has a spacious cosy lounge, lobby with bar and lovely breakfast dining area. The interior patio at the hotel George VI is ideal for meeting friends or relaxing after a day of sightseeing. 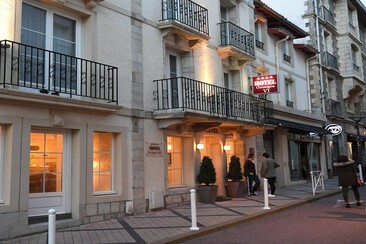 Hotel de L'Ocean is located in the heart of Biarritz. The hotel is 3 minutes away from a large beach, a truly magical place shared between swimmers and surfers. It is a few steps away from all the beautiful sites in the city. 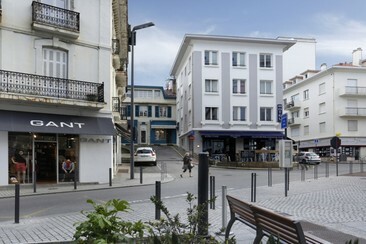 You will be able to stroll around Biarritz and enjoy the city center and the seaside. The 26 air-conditioned rooms in this renovated three-star hotel have been decorated in a fresh and cosy ‘Atlantic’ style. Many of them have a delightful sea view from the balcony. 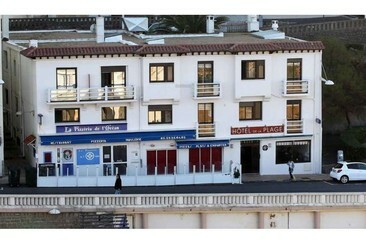 Grand Tonic Hotel Biarritz is located in the seaside town of Biarritz, just 200 m from Grand Plage Beach. Casino Barriere de Biarritz is just 300 m from the hotel and Biarritz-Le Phare Golf Course is 1 km away. Public parking is available on site. The LMB restaurant proposes your meal that blends the delicacies of Basque cuisine with refined French gastronomy. All rooms are equipped with air-conditioning and bathrooms with bathtubs or shower. 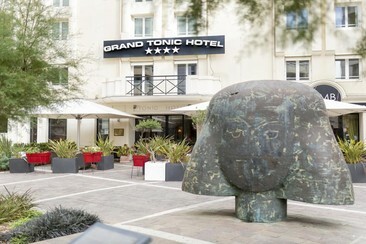 Each floor of the Grand Tonic Hotel has an individual theme and has a TV with satellite channels.